Setting up new branch offices and appointing new staffs to operate the business in a preferred location may not sound economical to small business entrepreneurs. Creating virtual offices is the ideal option in such a circumstance. You can stay in touch with your customers located cities apart at low cost with the aid of virtual office phone systems. These systems enable entrepreneurs to manage their offices from anywhere – even a car, home or hotel room – thus giving a high degree of physical independence. 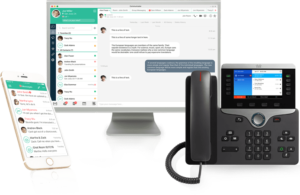 Traditional PBX systems are expensive and require heavy equipments to be installed at the company premises. That is not the case with virtual office phone systems. These do not require any hardware or software to be installed at the user’s site. All the equipments are maintained at the service provider’s site itself. Moreover, these systems are scalable to a large extent; users need not worry about the additional equipments and phone lines needed while expanding their business, since all these are maintained at the provider’s location itself.